We believe in sharing ideas, thoughts and yes, infrastructure as well. Tatcraft Makerspace is a one of its kind ecosystem for creative makers, a selective community of creators that enables people to imagine, create and fabricate with unparalleled speed by combining workshops and leveraging the aggregate creative mind of a collaborative network. We help hardware founders as well as creative minds of all coleurs to build amazing projects, companies and products. 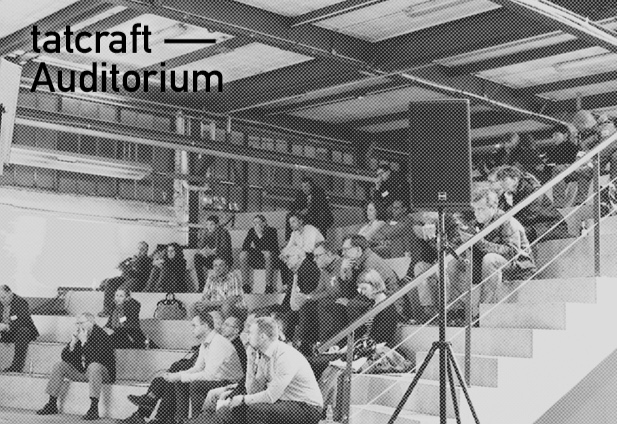 Therefor we built Tatcraft Makerspace - one of largest manufacturing-oriented makerspaces in Europe. Our space is equipped with approx. €1.5m in machinery and hand tools. You’ll find pretty much every resource you might need for fabrication projects. 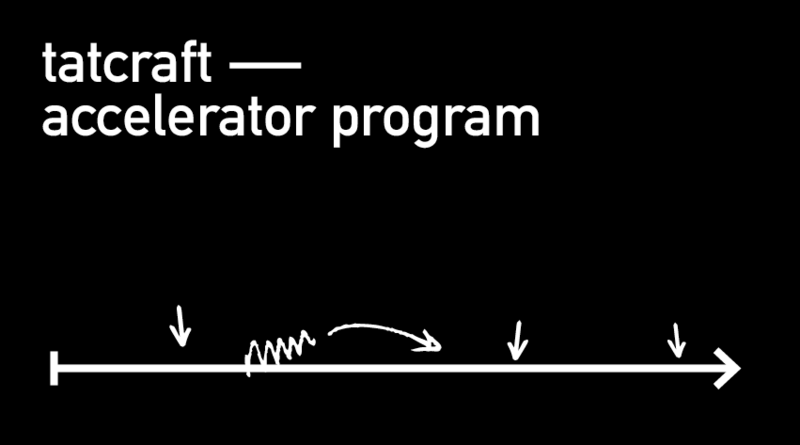 Iterate, prototype and build your dream project/product! Yes, we cater predominantly to the professional amateur kinds of people but effectively, we’re open to any creative mind. Want to build? You’re right at Tatcraft! You’re there for iterating your idea? Try your best at Tatcraft and find sparring partners within our community! You’re prototyping a product or assembling your last production batch? You might be a perfect fit! You have an Idea that should lead to your large or small empire? By joining Tatcraft_Makerspace as a Member, you’ll get access to a select group of makers / innovators / entrepreneurs / artists / diy enthusiasts. We try to have our group of members as diverse, as cross-disciplinary, as heterogeneous as possible - bringing a maximum of cross-disciplinary experience together. By joining Tatcraft Makerspace as a weekend member, you’ll get full access to our workshops, the facilities, machinery and community on weekends (starting Thursday 4p.m. till Sunday close time). Breathe true maker spirit and start your journey to build great stuff. 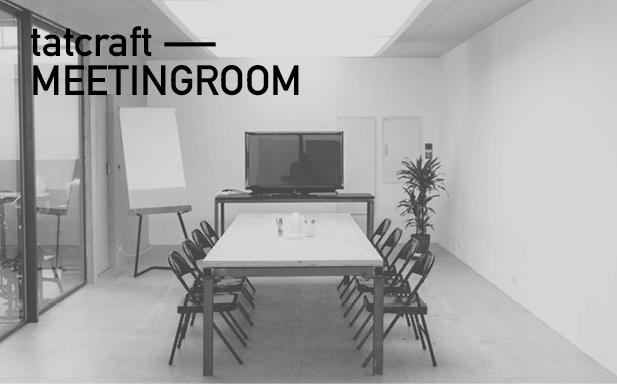 Joining the Tatcraft_Makerspace as a Startup Member gives you the opportunity to use our workshops, the facilities, machinery and community every day according to our opening hours. A startup membership is also the best way, to prepare yourself for commercial work. As a growth member you profit from the advantages of other memberships, plus you are permitted to do commercial work at Tatcraft_Makerspace. Also being a growth member is best if you are using our high-end production machines (i.e. waterjet cutter, BigRep 3D printer, CNC router, etc. ), as we are grant high discounts. The fullest and the bestestJ of all memberships. Profit from all membership advantages, including production discounts but have your own space, too. Joining Tatcraft_Makerspace as a resident member is for the chosen few. If chosen, you’ll get your own approx. 20sqm space. That means you may use the space 24x7 and are allowed to bring your own machines. 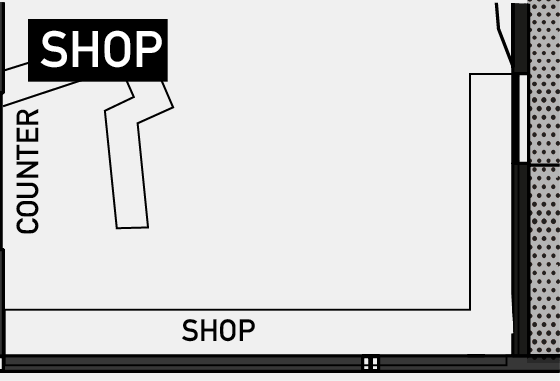 Our shop holds all kinds of things on stock that you might need for your products. You know screws / bolts / screwplates / zip ties / powder coating / etc. / etc. The stuff that you might need and hate to go to hardware store for. Thanks to the Würth x Tatcraftt coop we’re able to deliver high quality parts. They sometimes might be a bit more expensive than Bauhaus / Hornbach / etc. but they’re better ;) If you object, no problem, you’ll always be able to bring your own. Next to buying stuff this is the place to get all the hand tools that are not openly available in our workshops. Don’t hesitate and ask and pretty, pretty please be careful with our equipment. Now the very cool thing: Within the close future we want to turn our shop into a concept store for local startups and craftsmen / women. The concept is not done jet, but if you’re planning to sell your high-quality product, contact us! We believe in sharing ideas, thoughts and yes, infrastructure as well. Tatcraft_Makerspace is a one of its kind ecosystem. Every ecosystem sure needs a core, a place where the tribe meets, and information are exchanged. Most of our members would swear that this place our restaurant Tatcraft_Kanine- but our auditorium was certainly intended to be this place. Our auditorium holds approx. 150 persons, if more space is needed, we can hold up to 250 with additional seating. Too much space? 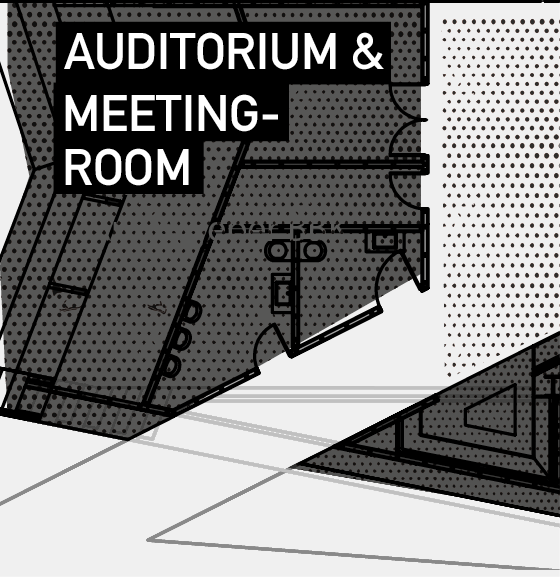 Our significantly smaller meeting room is located right close, with about 60sqm it’s also a bit snugger. Contact the Tatcraft_Firm team for usage / rental. What we always try to do is separating panning from actual production, from assembly from finishing. Long story short everything loud and dirty is done in the respective workshops, you need your brain and / or laptop head for our coworking space or Tatcraft_Kantine. You’re assembling your pre-cut / pre built items? You’re right. You’ll also find most of the hand tools you need and it’s also a great place to talk shop with fellow members. 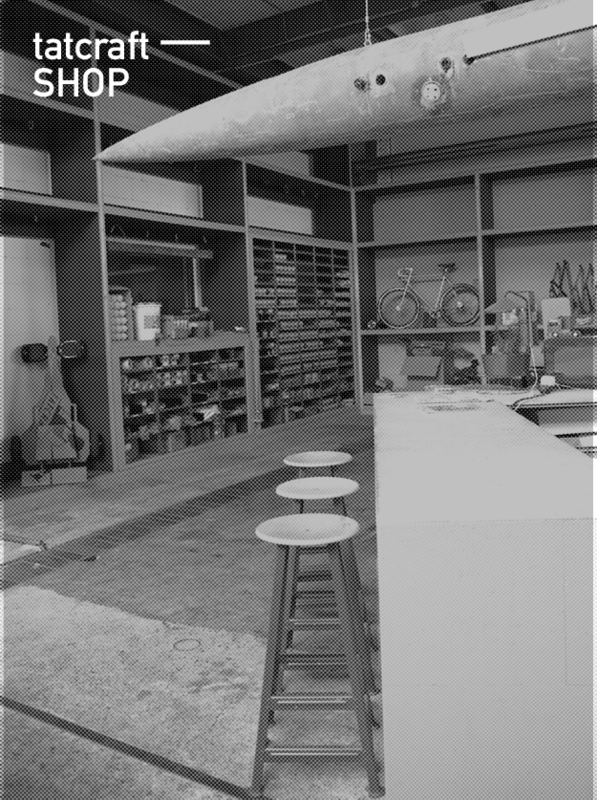 If you think of our carpenter’s workshop, in terms of equipment think of a medium enterprise kind of woodshop. 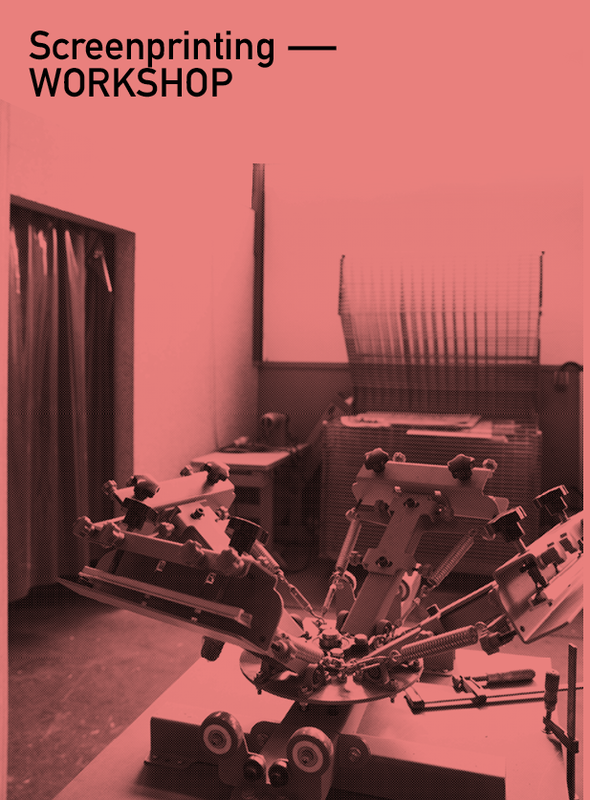 With our coop partner Felder we are able to provide real industrial format machines. We can’t think of a woodworking project too ambitious. No kidding, really. And next to that high class, but rather traditional, machinery you’ll find a large format, 4-axis CNC machining center. From freeform milling to building built-in closets in small quantities, get right at it. Now we certainly hope that we didn’t unsettle you. Most of the machines are really usable, even for complete beginners. But, because we want you to be safe and want a long and healthy life for our machines we made wood shop / machine courses mandatory. 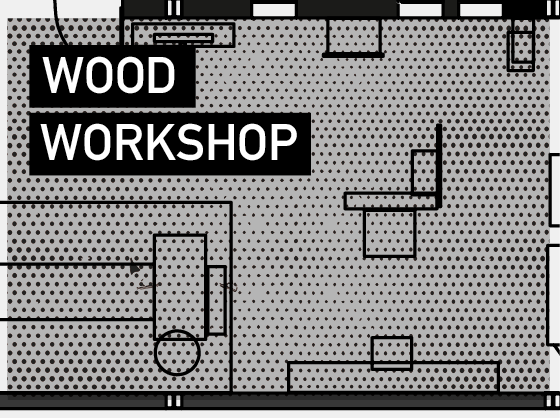 You’ll learn the basics of every machine and will be a better carpenter for it! If you’re already a pro and our machines are of a different fabricate only, prove it in our 20-minute refresher course. After some hours of personal training, and if, and only if our trainers find you proficient enough, you may use our CNC machine center by yourself. If that sounds like too much trouble send us your project plans or date and we fabricate your piece for you at fair prices. The metal shop offers a wide range of metal working tools. Here you’ll be able to form / bend / saw / drill / grind / and of course weld. Our coop partners Lorch and Metallkraft we were able to get the most important tools. CNC milling and a turning lathe are still big dreams we are working on. To use everything but the welding machines you’ll just need the 20-minutes refresher. Welding is a very fun course that shows you the way though the welding shop. One exception: If you’re an active, proficient welder ask us for the refresher that shows you the specifics of our welding machines. Our rapid prototyping workshop is equipped with all those machines, laser cutters / 3D printers / etc. that you need for fast computer-based prototyping. 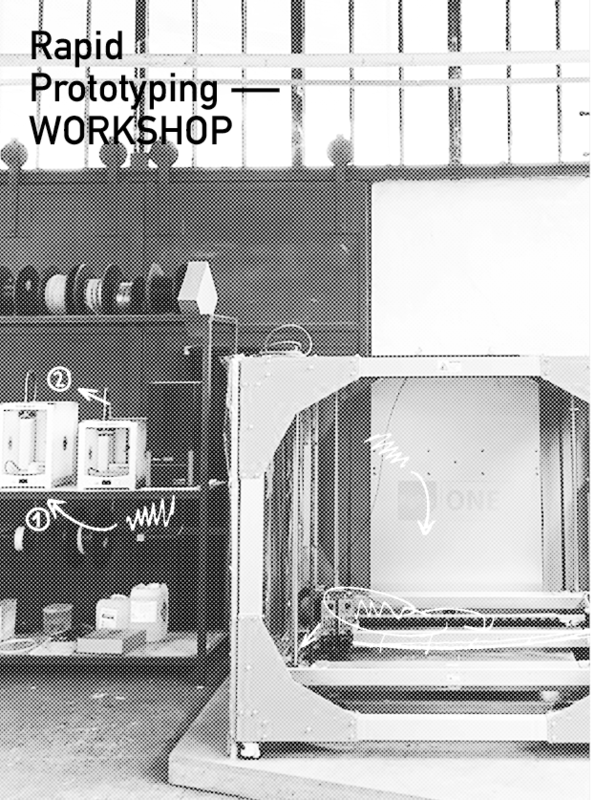 Prototyping doesn’t necessarily has to mean, that things must be neat and small- with our BigRep One large format industrial 3D printer you can go up to 1m3 (see here how get working on this particular machine). It’s really incredibly large, one of the largest industrially produced on our planet. Depending on your skill level we have various options regarding the usage as a member. If you’re experienced all you have to do is a short refresher which takes about 20 minutes (more here). You’re just about to start? Not a problem, we offer beginner and advanced courses in CAD modeling, 3D printing and laser cutting. You just don’t want to do it yourself? No problem either. Talk with our Tatcraft_Firm team. This is not the only space we have, that contains a specialized high-tech machine, but it’s the only one that demands a very own production hall :) The Flow Mach 200 is one of our crown jewels, one of our most important / largest / most expensive machines. With our 3D / 5-axis waterjet one is able to cute pretty much every material. From 170mm thick steel, to glass, up to aramid fiber reinforced sheets and all that, if you need, in a 45 degrees angle. Unfortunately we cannot let you use the machine on your own. It’s just too expensive and needs a tad too much experience- but of course you’re invited to stand right next to us and we show you how it’s done. Trust us, it’s quite a sight when Water and Sand grind with 4.500bar through pretty much any material precisely to a hundredth. Just send us your project data (the max build size is 4m x 2m) and we fabricate your piece at fair prizes (with and without material). Originally, we also planned a 3D / 5-axis CNC Router for that space but unfortunately that already committed cooperation slipped away at the last second. Now we’re working hard, that our waterjet won’t be so lonely in the future. DIY man! Motorcycles and bikes are emotional beings. Care for them on your own. Most of the time that’s easier said than done. A) it often turns out to be not soooo easy and B) you end up needing more specialized equipment than you think. Both doesn’t necessarily have to be problems in our bike shop. Especially concerning bikes, we do have some real pro’s within our member ranks- they might turn you in the right direction. And you’ll find pretty much all the equipment you need, lifting ramps / torque wrenches / wheel guns and a complete set of Parktool bike tools, thanks to our friend and wrench monkey Eddie. By the way, right now real motorcycle repairing experts are scarce amongst our members. Maybe that’s you? You’re an artist / a designer? You’re starting up a high street fashion label or just want to wear your own creations? 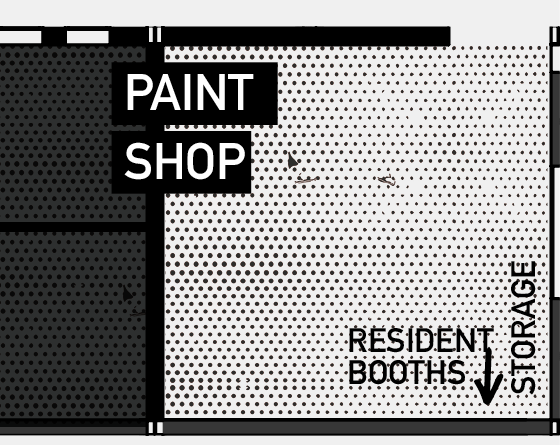 Our screen printing workshop might very well be your space. From exposing your screens to printing to a small batch production. We got you covered. You can even sew a little. You’re already skilled? We have a small quantity of colors, screens and chemicals to buy in our shop. If you need something different or already have stuff, bring your own. You’re super motivated but have no clue? Don’t hesitate to check out our screen printing courses. Your project is nearly done and seeking last polish? Head over to the paint shop. Here you’re able to sandblast / powder coat / paint (to a small degree as we don’t have our wet paint cabin jet). For the paint shop we have a fitting course and you’ll find the most popular materials, such as powder coating / blasting sand / colors / etc. in our shop. Just ask us when you’re there! Successful projects need proper planning. 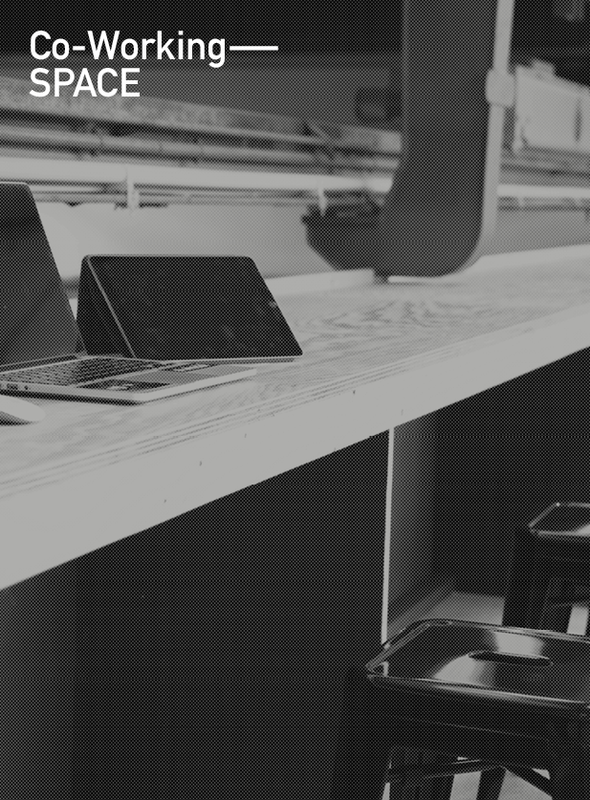 In our 2nd floor coworking area you’ll find lightning fast wifi and some desktop pc’s. A huge bonus, software like Autodesk Fusion 360 are preinstalled. Of course, you can also bring your own equipment, if you like. One thing we really have to clarify is the following: This is no coworking space like you imagine at WeWork and so on. We are still very much hardware and production oriented, so it might sometimes be too loud to do your tax reports. If you need the more quiet head over to Tatcraft_Kantine. We believe in sharing ideas, thoughts and yes, infrastructure as well. The Tatcraft Growth Network is a one of its kind ecosystem for creative makers, a selective community of creators that enables people to imagine, create and fabricate with unparalleled speed by combining workshops and leveraging the aggregate creative mind of a collaborative network. The Tatcraft_Growth Network is a loose, anything goes network that encourages members to help each other and share valuable tips and insights. Together we share information in our slack group, host various community events, attend conferences and meet at Tatcraft Kantine or Tatcraft Bar Nights that happen any Thursday. Tatcraft Yard Sales are also a great way to promote latest products, have a beer and network. Joining the Tatcraft Growth Network is totally free of charge. But while it is free, we require you to contribute actively. There is no value to a community if no one is committed to participate therefore we only onboard people, companies and organizations that are very likely to contribute. We believe in sharing ideas, thoughts and yes, infrastructure as well. Join a selective community of creators that are invited to contribute actively within our online slack group. 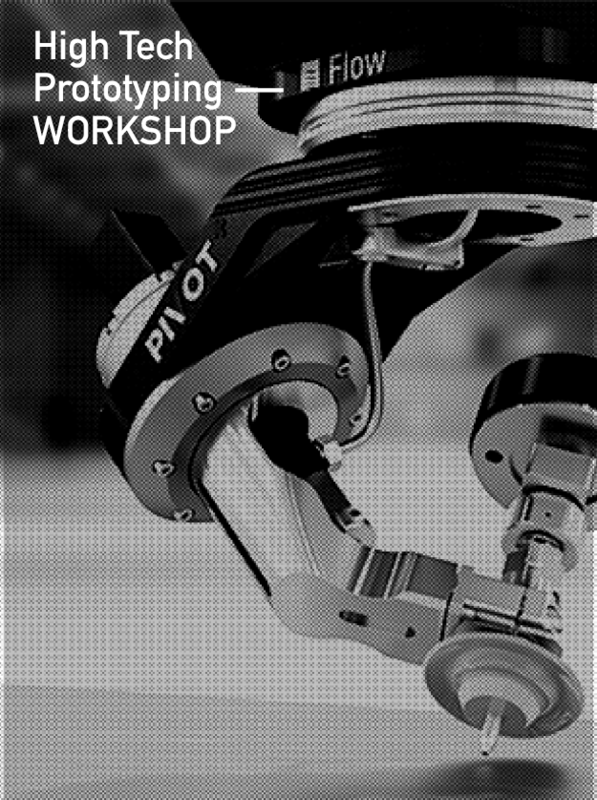 Get tips, ask questions, brainstorm ideas and mingle with other makers, (hardware) entrepreneurs and the Tatcraft team. Leverage the aggregate creative mind of a collaborative network. Every Thursday starting at 6 p.m. our community hangs out at Tatcraft and joins for a beer. That’s also the time when Tatcraft is open to the public, so that fellow makers may explore our little maker universe and ask questions. Join us for a beer! Together with the City of Frankfurt and other high value partners we host a conference as well as a series of events. In addition to that, a group of handpicked few startups are being selected to enjoy the benefits of our Tatcraft program in form of financial aid for manufacturing, sales and communication services. Kantine is our restaurant located on top of our main fabrication facility. Next to great food, that is provided by our chef Dimi, you are happily invited to hang out, co-work and meet with fellow (hardware) entrepreneurs. Don’t forget our Sunday brunch, where creative makers meet. Tatcraft_Makerspace comes equipped with workstations and several workshops that enables creative minds to build great stuff. It took us more than a year and plenty of blood, sweat, tears and euros to bring all this fine machinery together and we proud to say, that our collection of machinery it quite outstanding. If you’d like to visit Tatrcaft before booking a membership, please visit one of our Bar Nights that take place every Thursday, starting at 6.00 p.m. When you feel, that you have a larger project that needs direct attention from our team, please use the contact sheet below. Thank you! We’ll get back to you shortly! TATCRAFT_MAKERSPACE: Peter is a designer and architect. That man is with us for quite some time and its really great fun to have him around. TATCRAFT x MAK: TATCRAFT DESIGN IN A MUSEUM. NO KIDDING! TATCRAFT_FIRM: Tatcraft X Museum for Applied Arts Frankfurt cooperation for new exhibition “MODERNE AM MAIN”. TATCRAFT_MAKERSPACE: Tatcraft X hfg_ am main cooperation. You got a full-time job but deep in your heart you are a maker? Wanna go for a walk through our makerspace? Here is our new walkthrough video! TATCRAFT_FIRM: Tatcraft x MILK prototyping workshop. This week we coop’ed with MILK in order to find new food product packaging design. CODE + DESIGN CAMP. OR ZEN AND THE ART OF FEELING REALLY, REALLY OLD. TATCRAFT_MAKERSPACE: The Distinguished Gentleman's Ride is a global motorcycle fund-raising event to raise awareness of prostate cancer.